Free Termite Control Inspections in Waco, Texas. Call iPest Now! When considering all animals, it is generally understood that animals with rapid reproductive rates live shorter lives, and animals that are less fertile live longer lives. This is almost always the case in the animal kingdom, but it seems that termites may be exempt from this biological rule. Termite queens and kings, as many of you already know, reproduce at incredibly rapid rates. Given this fact, a termite reproductive’s lifespan should be very short in duration. However, a termite colony’s royal pair actually live as long as twenty, thirty or even forty years. Amazingly, royal termites from some colonies are reported to live for as long as fifty years. So why is this? Recently a group of researchers set up several experiments aimed at finding an answer to this question. 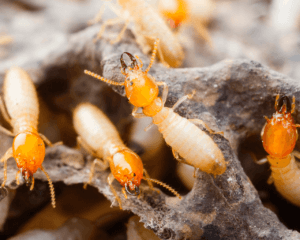 Researchers have recently published a study in the Proceedings of the National Academy of Sciences, that has shed some light on the genetic peculiarities that allow royal termite pairs to live for several decades. The researchers from the Zoology Department at the University of Freiburg, chose to study one of the most reproductively successful termite species as a model in their study. This species is known as Macrotermes bellicosus, and they are actually the most reproductively successful terrestrial animals that exist. Macrotermes queens lay around twenty thousand eggs per day, which makes them highly fertile to say the least. Despite the Macrotermes queen’s high reproduction rate, these queens live to be around twenty years old. According to Ph.D. student Daniel Elsner and Dr. Karen Meusemann, Macrotermes workers and queens possess identical genomes, but workers only live for five years at most. After comparing the specific genes between Macrotermes queens, kings and workers, researchers found that queens and kings appear genetically identical, even when they are years apart in age. However, the workers, although much younger than the royal pairs, had an added genetic mechanism that makes them age faster than royals. The workers possessed what are called “jumping genes”, which are genes that replicate automatically. When genes replicate, mistakes can occur, and mutations are common. Obviously, reproductive queens and kings are responsible for breeding every individual termite in a colony, so they cannot afford to risk genetic mutations that result from jumping genes. If the royal pair possessed jumping genes that cause mutations, then a colony would become genetically compromised, resulting in colony death. Luckily, for termite queens and kings, the absence of jumping genes has the added benefit of preventing aging. Have you always wondered why termite queens and kings lived unusually long lifespans? Termites are well known for damaging a variety of different types of homes. Termites can attack homes in poorer neighborhoods just as easily as they can in wealthier neighborhoods. Obviously, termites are attracted to and feed on wood, but even homes that are constructed from non-wood materials can become infested with termites. Of course, there are several factors that make homes more or less vulnerable to damaging termite activity. For example, many neighborhoods within the termite hotspot of New Orleans have fallen victim to large-scale termite infestations. New Orleans and many other regions along the Gulf Coast are plagued by damaging Formosan subterranean termites solely because the region’s subtropical climate is conducive to their existence. Therefore, just about any type of home is at risk of sustaining termite damage in this large region of the United States. To put it simply, no matter how well-protected your home may be against invading termites, infestations can sneak up on you. 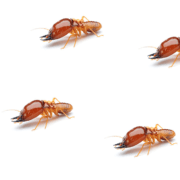 Although you may have your home regularly inspected for termites, some of the most obscure imperfections to your home can serve as access points for termites. For example, cracks on concrete slabs can become large enough for termites to fit through. Small hairline cracks commonly develop on concrete. The smallest hairline cracks will not allow for termite-access, but larger ones can provide an opening for termites. When considering a termite’s tiny body, it may seem impossible for termites to fit through cracks in cement, but termites commonly access homes through this route. 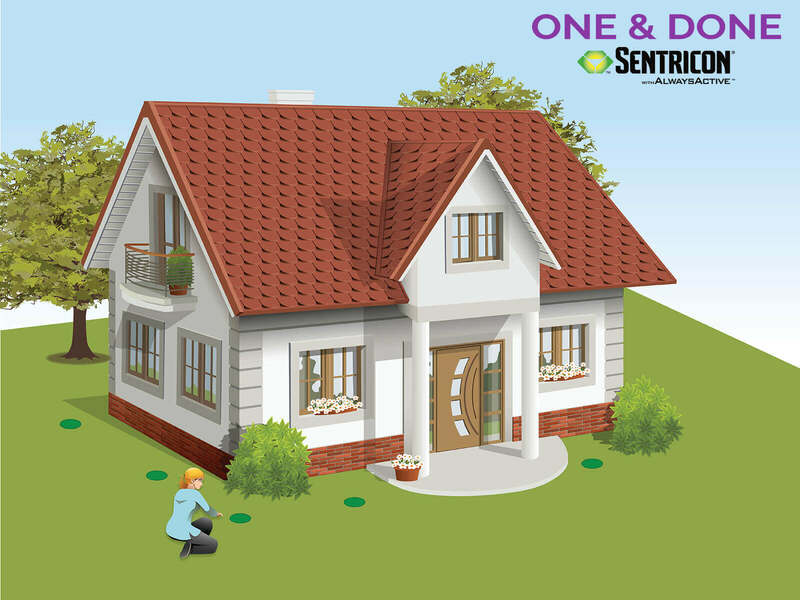 Inadequate property grades can also be an issue when it comes to protecting your home from termites. If rainwater flows through your lawn and collects in a large puddle on your property, the resulting water can trickle down through the soil, thus diluting previous chemical anti-termite treatments. Replacing soil insecticides with large amounts of fresh water will only attract more thirsty termites to your property. 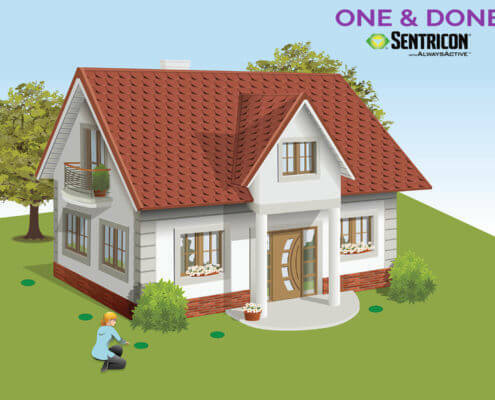 You can also help keep termites off of your property by regularly unclogging your gutters in order to properly divert water from your lawn and by being more mindful about where you place your lawn sprinkler. Do you think that if more people were aware of how desirable water is to termites, then reports of in-home termite infestations would drop? https://www.wacopest.com/wp-content/uploads/2018/04/ipest-solutions-logo.png 0 0 caleb https://www.wacopest.com/wp-content/uploads/2018/04/ipest-solutions-logo.png caleb2018-04-27 09:24:252018-04-27 09:24:40What Makes A Particular House Attractive To Destructive Termites?